The perfect fit for both classical and modern interiors. The beauty of light perfected! 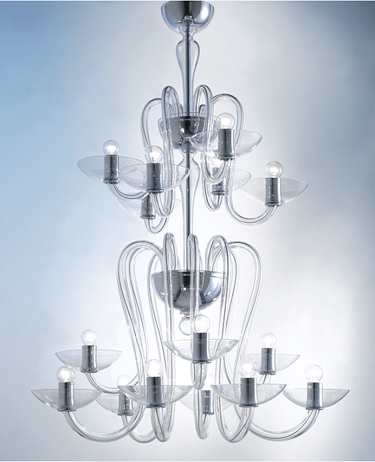 Exquisite Italian glass chandelier made in Murano, Venice. This luxurious lamp is crafted by hand with the utmost care to detail by master glass makers. This wonderful chandelier shows such amazing and intricate details. Fifteen arms of hand blown Murano glass & metal.